The popular NordVPN coupon code has been extended in to April 2019. Read on to see how you can save a massive 75% discount on one of our top rated VPNs. Or head straight over to Nord’s 75% discount offer here (the discount is automatically applied no coupon code is needed). Best of all there is a money-back guarantee so you can get a full refund if you change your mind within 30 days. When it comes to unblocking geo-restricted sites and services, NordVPN is one of the best. Considering it also boasts high speeds, almost 5,000 servers, and a vast array of security features, it’s no wonder we rate this VPN so highly. Still not convinced? What if we told you that there’s a NordVPN coupon that cuts the price by 75% if you sign up for 3 years? 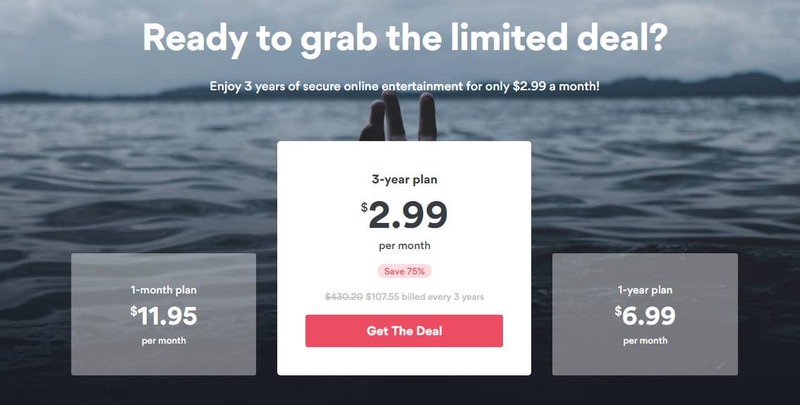 NordVPN usually costs $11.95 a month on a regular monthly subscription — that would be $430.20 over 3 years, whereas you can save 75% if you sign up on a 36-month plan at $2.99 per month, billed at $107.55 every three years. With our exclusive coupon, you get a massive 75% discount on NordVPN’s three-year plan. This brings your monthly payment down to just $2.99. This is the lowest price available, and we’ve confirmed that this coupon is still working as of April 2019. NordVPN plans come with a 30-day money-back guarantee. This allows you to test the service and cancel for a full refund if you’re unsatisfied. Not sure if NordVPN is right for you? Why not take advantage of its free, three-day trial? No credit card information is required, meaning there’s no obligation to subscribe afterward. How do I use this NordVPN coupon? Click on this link which takes you to a page on NordVPN website with the exclusive offer. From here, click the button showing the deal price. Select the plan with the 75% discount. Continue to checkout as usual the promotional deal is automatically applied and no code is needed. What other NordVPN discounts are there? NordVPN, and many other VPN services add new offers periodically. Usually, these are added just before the holiday season or a major sporting event. However, these are often only available for a short amount of time and only offered to new subscribers. As of the time of writing, this coupon offers the largest savings for NordVPN, so you won’t find a better deal anywhere else. How can I find out about future NordVPN offers? 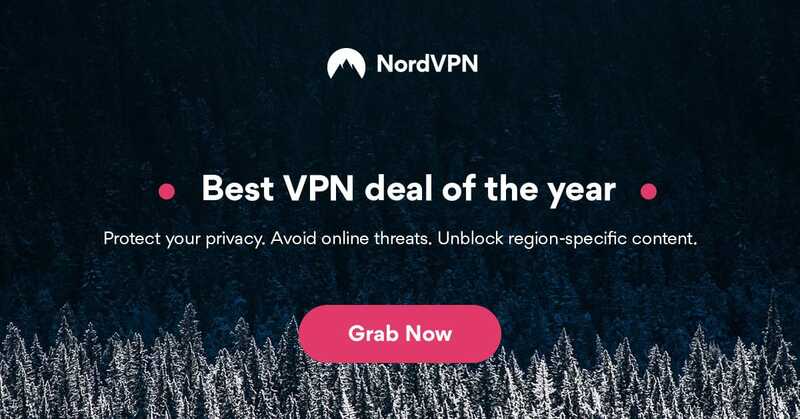 NordVPN displays its latest deals at the top of its homepage. This is the easiest way to check for new offers, but if you want to be certain that you’re not missing out, you can also contact customer support and ask about a discount. You should note that it can take up to 48 hours to receive a response by email, so we’d recommend using live chat instead. Lastly, you can check Comparitech; we keep you up-to-date with the latest NordVPN deals, discounts, and coupons as they’re announced. Security features: 256-bit AES encryption, SHA-512 authentication, DNS leak protection, application-specific kill switch, perfect forward secrecy, automatic wifi protection. 2 How do I use this NordVPN coupon? 3 What other NordVPN discounts are there? 4 How can I find out about future NordVPN offers? 1 How do I use this NordVPN coupon? 2 What other NordVPN discounts are there? 3 How can I find out about future NordVPN offers?